and how Massage Therapy helps the pain! Headaches cause us to miss work, time with family and can even make us nauseous. Sometimes severe pain and vision problems occur, especially with migraines. Head aches - How and Why Massage Therapy helps them disappear! Using natural remedies, such as massage therapy techniques, you can help to reduce the pain and/or take it away. It can increase blood circulation and facilitate healing. Marble facial stones are also used in massage for head pain, on forehead, scalp, and other areas of the face for swelling and sinus congestion. You can also use them over the jaw area for TMJ. Trigger points, located at the suboccipital muscles at the base of the skull, are the most common cause of tension head pain. However, sinus pressure, jaw pain, muscle spasms and congestion can contribute to the pain. Along with many other muscles in the neck, the suboccipitals work very hard to keep our head balanced all day long. They really never stop working. So, it is not surprising that these muscles can cause major head and neck pain issues. Many therapists work on this muscle group more than in other, in almost every massage they perform. It is one of the main complaints of most clients. 1. Tension: This is often associated with pain that wraps across the top of your head and are usually caused by stress. 2. Migraine: Migraines usually hurt on one side of the head and can last several hours to several days. Often, the patient also has sensitivity to sound and light. 3. Cluster: This is an excruciatingly painful explosion type of pain behind one eye. Pain usually peaks in about an hour, and then goes away. Sometimes pain will return in a day or two. This can go on for a few weeks, stop suddenly for months, and then return. Head pain hits you suddenly, out of nowhere, intensifying in a few minutes into the worst headache you've ever had. Call 911. Causes for this kind of headache can be aneurysm, stroke, or meningitis. You should go to a doctor ASAP. Head pain that comes on quickly with physical activity, should be discussed with a doctor. Most often, everything is fine, but it could be something serious. Head Pain that moves to the neck can be meningitis or a hemorrhage. Go to a physician or the ER if you have this, especially if you have a fever, have recently had a bacterial infection, have a rash, or inability to think clearly. Lingering Head pain comes and goes for days, maybe accompanied by low-grade fever, visual problems, may be a sign of inflammation in the arteries. See your doctor ASAP. Contagious Head Pain If everyone in your family develops the same head pain at the same time, you should immediately leave your house and call 911. It could be a carbon monoxide leak. Wake-up If your head pain is there every morning when you wake up, you should see your doctor. Besides trigger points, other common causes of head pain include caffeine, chocolate, dairy products, or alcohol. 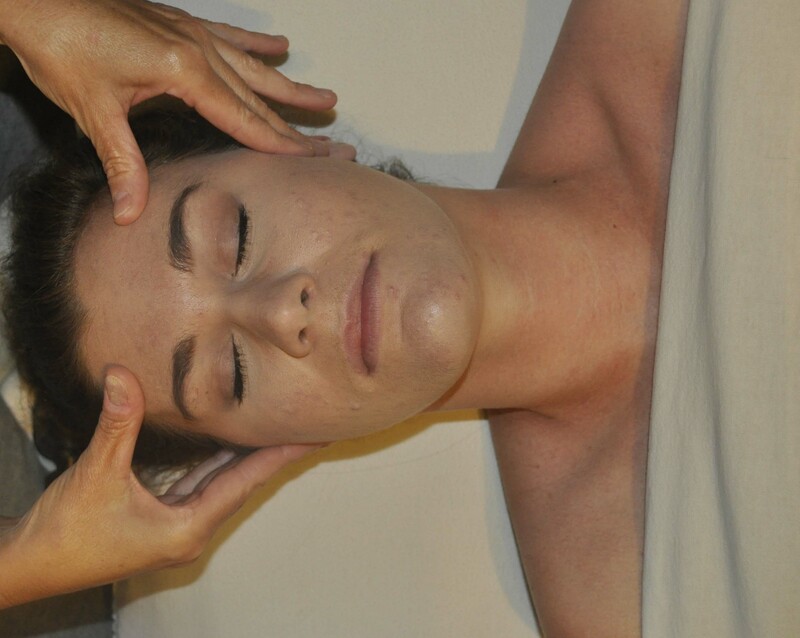 This DVD, Advanced Myofascial Techniques for Massage Therapy, Physical Therapy and Sports Massage: Neck Jaw and Head teaches how to massage those who have head pain, as well as many other medical conditions associated with head, neck, and jaw pain. It discusses safety precautions and goals of massage treatment for different these types of medical issues. In addition to massage, you might try taking other natural therapies like a hot steamy showers, followed by rest in a dark or dim room, warm caffeine-free tea, an ice pack on the back of your neck, and inhaling either rosemary, peppermint, lavender, or eucalyptus essential oil on a warm, wet washcloth. The benefits of using essential oils for relaxation, stress relief, head pain, migraines and healing are greater with each research study performed. Headaches can be caused by many different things.If you are plagued often, don't ever give up trying to find a solution. Massage therapy techniques for head pain may not work for everyone, but for many they work...and work well. Search for a therapist who has experience addressing head pain, migraines, sinusitis, or various Craniosacral problems. He/She will be more able to help you than a student or new therapist with little experience. Ask your doctor or other healthcare provider about experienced therapists in your area. Most often, they have heard of therapists (or visited one themselves) and can recommend someone. Headaches can be extremely painful, but learning massage therapy techniques to take the pain away, may give you natural healing, without drugs!